If you were to zoom in to different parts of India in random order, you’d be surprised at the variety of things on offer, ranging from tranquil Tibetan colonies to volatile Maoist insurgency. Such is the spectrum of challenges faced by different regions in our country. One of the biggest struggles for leaders, especially in a socially and culturally stratified country like India, has been to find the right balance between local autonomy and central control. Central regulation is essential to prevent fragmentation of the country, nevertheless it is equally important to allow states the room to govern based on local norms and challenges. 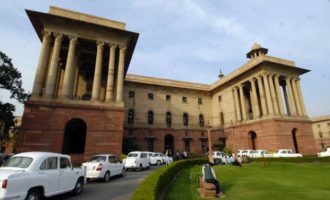 It is with the latter in mind that the Government of India recently adopted the recommendations of the 14th Finance Commission (FC) with respect to increased tax devolution to states. The 14th FC, chaired by Dr. Y.V. Reddy, recommended in its report that the state share in total Union tax revenue should increase from 32% to 42%. The principle here is to provide the states with increased fiscal room to govern rather than having to demand funds from the Center on a grant and issue basis. While this is an admirable step in the direction of decentralization, there is ambiguity about the impact of this policy, primarily due to another decision that the central government has made simultaneously. Apart from normal central assistance and a share in central taxes, a significant portion of the resources transferred from the Center to the states is through Centrally Sponsored Schemes (CSS) aimed at dealing with the most widespread deficiencies in our economy. In an attempt to ease the burden on the central government created by increased devolution, the Center has reduced the assistance to the states through CSS. The financial burden of a majority of these schemes has erstwhile been shared by the Center and the States on a 75:25 basis respectively. Not only have 24 of these schemes now been changed to a 60:40(some of them 50:50) pattern, 8 of them have been delinked from central support entirely, significantly increasing the burden on State finances . In light of limited information, an analysis of whether the benefits of fiscal devolution have been entirely neutralized by the withdrawal of central support did not produce accurate results. However, there have been claims from individual states including Maharashtra, Karnataka and West Bengal that the combination of the changes in the two central policies has led to negligible benefits on account of increased tax devolution . The State Government of Odisha has reported that the withdrawal of central support has led to a significant loss, which calls out for further analysis. The Government of Odisha has estimated a loss of approximately 7700 crores on account of withdrawal of central support, which can be revised to 2200 crores after accounting for the increase in their share of union taxes. A simple calculation, using the percentage of Odisha’s share in Union taxes against the revised estimate of total tax revenue reveals that the amount received by Odisha has fallen considerably short of the amount promised by the FC. The case of Odisha is reflective of a flaw in the balancing mechanism, i.e. the withdrawal of central support. As expressed by the Government of Maharashtra, the impact of this withdrawal is felt unequally among states due to different degrees of dependence on schemes. Further, while some dependent states may continue to gain (however little) from devolution, Odisha does not due to the sheer magnitude of its dependence on schemes. Amongst the schemes that have been delinked are the ‘Backward Regions Grant Fund’, the ‘Integrated Action Plan’ and the ‘Modernization of Police force’, all of which are dire needs for Odisha and other states that are affected by widespread Left Wing Extremism. These states bear a substantially disproportionate burden of the central policy of withdrawal. In addition, Odisha, which is home to 13 of the 75 Particularly Vulnerable Tribal Groups (PVTGs) identified countrywide, is faced with the task of educating these groups. It comes as an additional blow, therefore, that the ‘Model School’ scheme that Odisha was ardently implementing has also been delinked from central support. The percentage of Odisha’s share in Union tax itself deserves closer attention, given the fact that it has dropped since the previous FC report. The FC identifies certain criteria and assigns them weightage, based on which the percentage share for each state is calculated. After taking into account the views of each state as well as the central government, the FC arrives at a list of criteria that attempts to create a balance between need and incentive. For example, a criterion like ‘population’ is aimed at states that need assistance, whereas criteria like ‘Fiscal Discipline’ are aimed at incentivizing states to keep their deficit in check. A quick look at the 14th FC survey reveals that the list of criteria selected by the FC is somewhat at odds with the demands of the states. Let us take the criterion of ‘Fiscal Discipline’ mentioned above as an example. The 13th FC gave it a weightage of 17.5%, and 20 out of 29 states recommended its retention in the list of criteria for the 14th FC . Some states even demanded that it be given weightage as high as 33 % . It comes as quite a surprise, therefore, that the 14th FC has removed this criterion from the list entirely. Not only is this inconsistent with the demands of the state, it has also removed a large incentive for states with low fiscal deficit (including Odisha, which ranks in the top 10 in the fiscal discipline index) to maintain their good practices. Another decision that has had negative consequences for Odisha is the introduction of a new criterion known as ‘Demographic Change’. This is defined by the FC as the change in population from the 1971 figure, which has acted as the standard so far . This is a welcome change in standard. However, this move has accidentally punished the states that have managed to keep their population in check since 1971 (Odisha being one of them ), an incentive structure that spells disaster given the population situation in India. This leaves an opening for measures to alter this incentive structure while continuing to update the criteria. Perhaps a separate reward system for states that keep their population in check would do the job. From the perspective of the 14th FC survey, it is important to note that this move, however admirable, was supported only by Jharkhand. It is quite apparent from the above information why Odisha, whose percentage in the total share has fallen from 4.8% to 4.6%, stands to lose from the current scenario. However, the policy of fiscal devolution in itself has had favorable outcomes, resulting in a sizeable increase in funds for most states. The task remains to ensure that the benefits of this increased resource pool are felt in an equitable manner so that scenarios like the one in Odisha can be avoided. Perhaps further analysis is required on the nature of schemes that are to be delinked so that the impact is not as concentrated. Alternatively, if the impact happens to be concentrated in specific areas, then a more gradual withdrawal of these schemes would be a more suitable approach. There is also the possibility of retrospective action. The central government may identify regions that have felt the brunt of withdrawal and provide some sort of special assistance. At any rate, the case of Odisha demonstrates that there is room for change in order to ensure that the impact of fiscal devolution remains entirely positive.